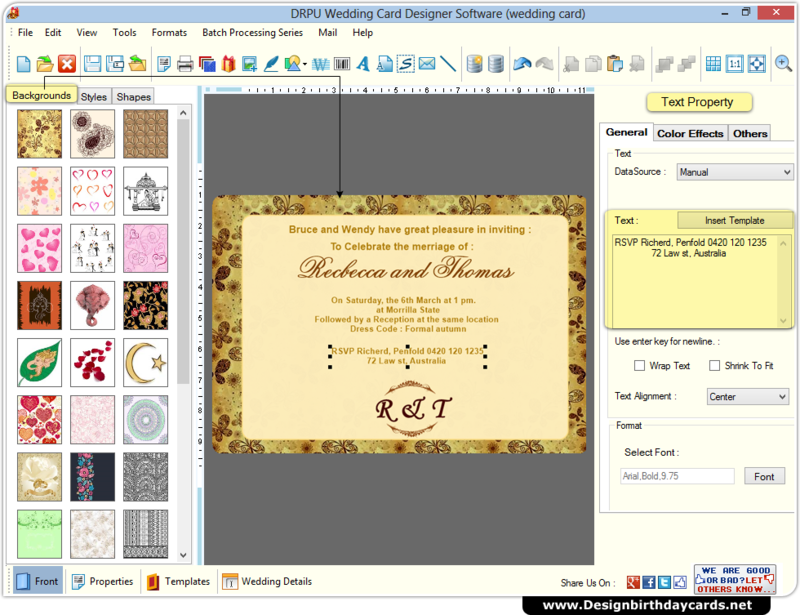 Choose option to design wedding card of your choice. 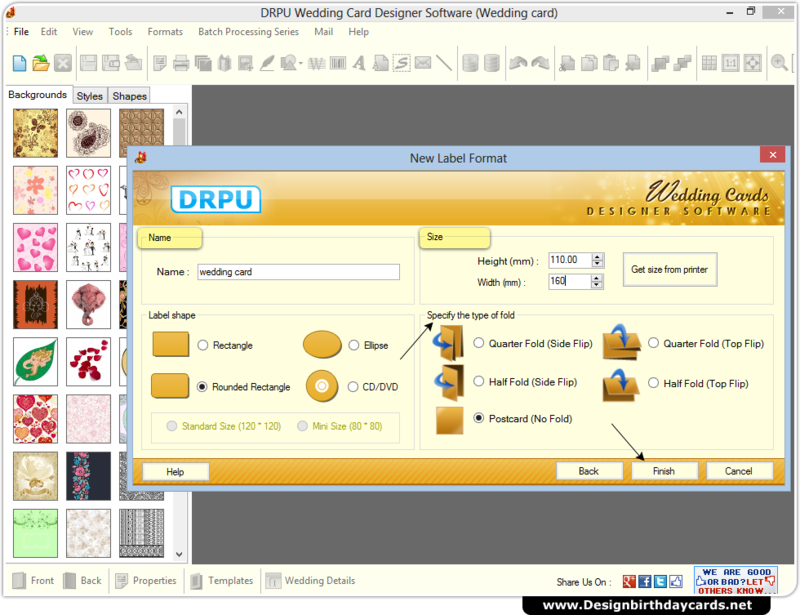 Specify wedding card name, size, shape and type of fold. Add background from left panel and text using ‘Text Property’ from right panel. 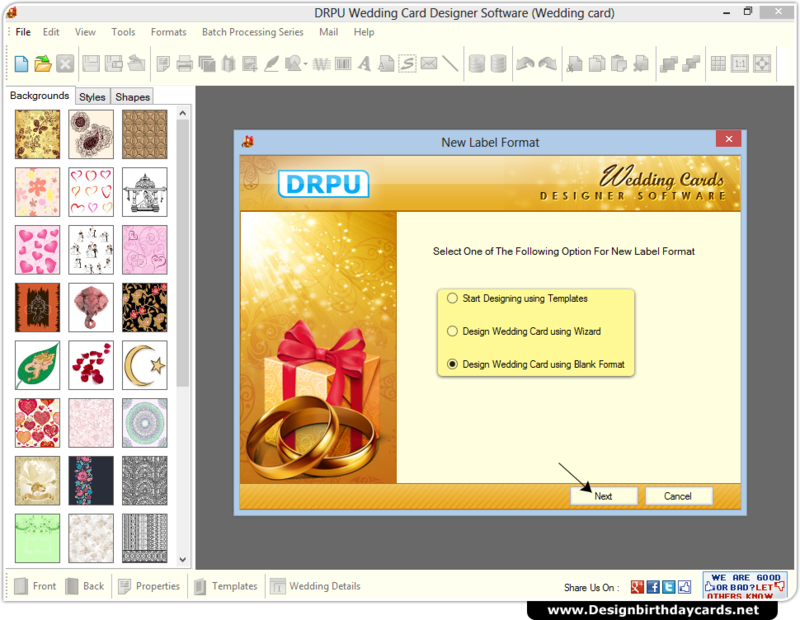 Go to print button from tool menu, to print Wedding card. 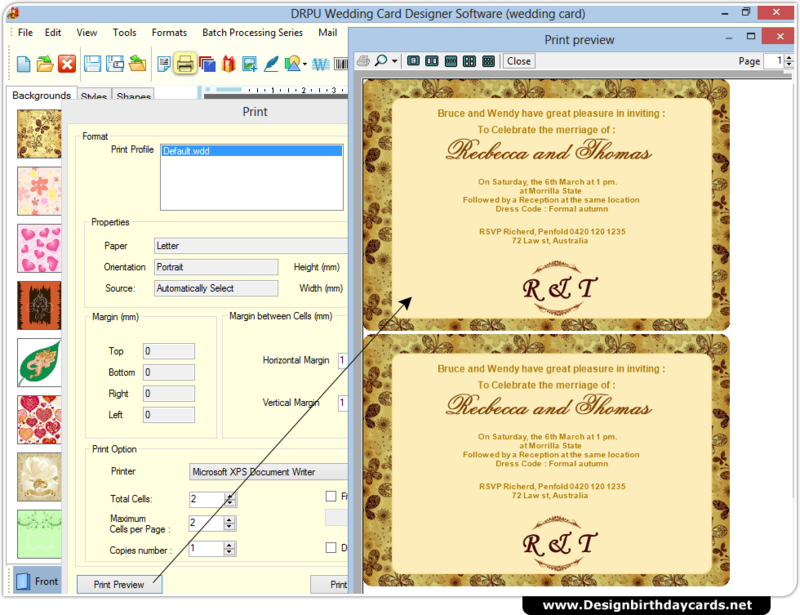 You may preview your card before actual printing to avoid errors.